"There’s a difference in my life when I don’t wear my hearing aids. These hearing aids have definitely made a difference in what I can and cannot do." Sid Atkin likes to golf and also teaches Sunday school. Sid wants to hear what others say when they are talking’ whether he’s on the golf course or in the classroom. "I wear my hearing aids most of the time,” Sid said. “A few guys I golf with don't wear hearing aids and they can't hear what's happening. Some members of the group wear hearing aids, but still don't hear very well. I don't want someone to have to be yelling loud to me because I haven't heard them. It's important to me to be able to communicate and my hearing aids help with that." 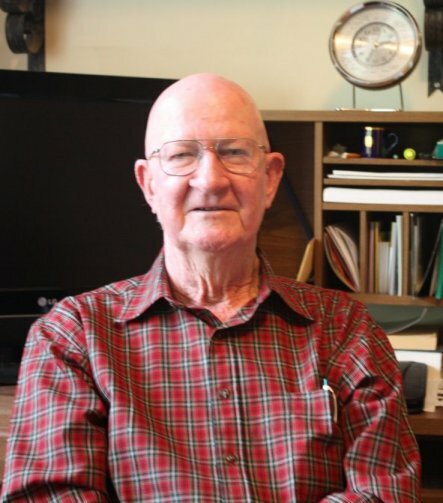 “It's important to me to be able to communicate and my hearing aids help with that. Doug checks me out to make sure I'm hearing as I should. He's got the machinery to help determine if my hearing aids are balanced as they should be. They're not perfect, but they certainly do make a difference in what I can and can't do."